In 1963, two recently qualified young doctors, including Christopher Maycock, and two young women motored from London to India in a Volkswagen Dormobile. 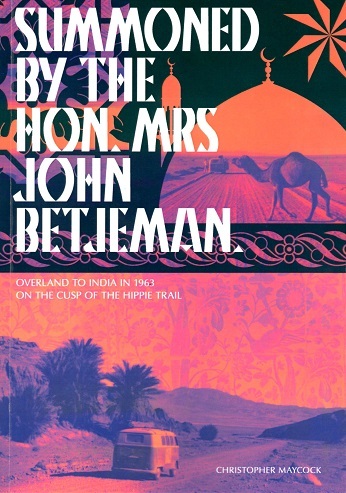 But just before they left, Penelope Betjeman, twice their age at 53, and wife of future Poet-Laureate Sir John Betjeman, insisted she join them. Just as Britain was awakening from its post-war slumber, they set off into the depths of ancient cultures. It was an extraordinary trip filled with adventure and revelations. And sometimes strange, sometimes rhapsodic encounters. Crucially, it's a journey that's impossible to make today. Christopher wrote the daily diary of the trip. They would eventually motor 24,000 miles through the Communist Balkans, Turkey, Persia, Pakistan, Afghanistan, India, on to Kathmandu and then back again via Iraq and Syria.